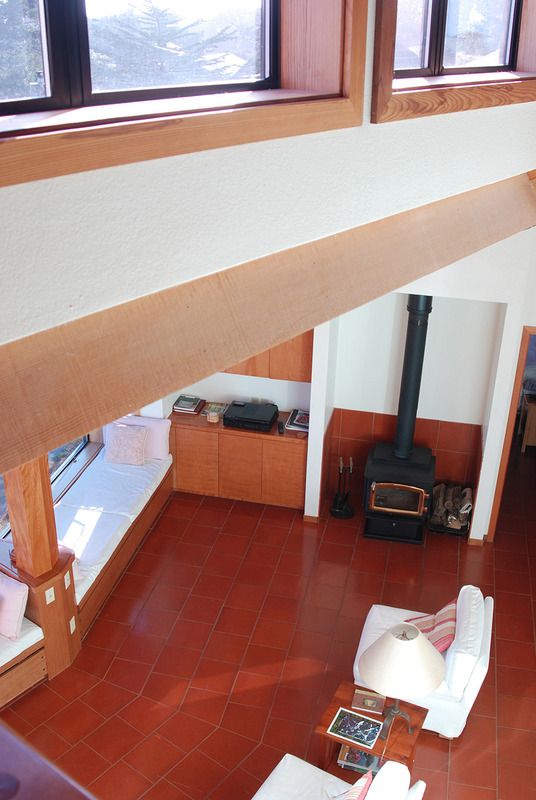 View from the loft down into the living room showing window seats and unique shingle-pattern tile floor. The tile and concrete below it provide active thermal mass to absorb the sun and radiate the heat into the house at night. A wood stove is the main source of back-up heat.